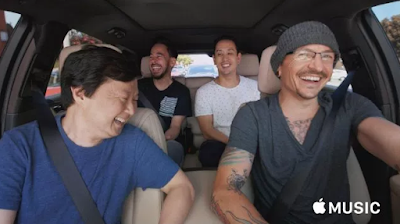 Linkin Park and Apple have released an episode of Carpool Karaoke that was filmed a week before the death of Chester Bennington. At the time of his passing, James Corden had stated that he would leave it up to the band and the family as to whether or not the episode would ever air. The episode opens with a statement that says they obtained “the blessing of Chester’s family and his bandmates” before the episode released.